Leading by example should be a priority for HR managers looking to integrate an employee engagement strategy and give staff a voice. Jo Sellick from Sellick Partnership discusses more. The cornerstone of any successful business is an engaged workforce and, as competition heightens across all industries, there has never been a greater need for strong employee engagement. Despite this, employee engagement is in decline across the world. Last year, it was reported in the ‘2017 Trends in Global Employee Engagement Report’ by Aon Hewitt that globally, employee engagement had decreased from 65 percent to 63 percent – worse still, the UK scored below the global average with 58 percent. Disengaged employees have a direct impact on the success of a business and, ultimately, the bottom line. These team members typically care significantly less about their jobs and the costs associated with employee absence, training to address incompetencies and, in some instances, re-hiring can be huge. 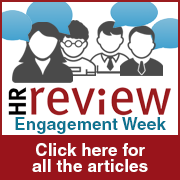 There is no doubt that engaged employees produce better results, but investing in employee engagement takes much more than issuing an annual survey. Engagement is at the core of everything we do at Sellick Partnership, it is one of our three company values and is embedded in our everyday business operations, both internally and externally. As well as offering a competitive benefits package, which includes above average basic salaries, generous uncapped commission and 25 days holiday per year, we reward employees by regularly hosting a number of company-wide events, Teambuilding activities, away days and internal competitions to strengthen our culture. We also invest in bespoke training programmes for our employees and encourage them to progress in their careers, because we believe that employees are more likely to be engaged when they feel they are reaching the right work/life balance, as well as being given opportunities for professional development. It is a tricky balance to strike, but this approach clearly works. We have a 74 percent employee retention rate, which is higher than average for our industry, and employee satisfaction is at 90 percent. We have also been named on the Great Place to Work® UK list, and featured in the Financial Times FT 1000 list of the 1,000 fastest growing companies in Europe. Additionally, we have achieved Investors in People Silver status and this year we are working towards achieving the Gold accreditation. Every business leader has their own views on the best ways to boost employee engagement, but the important thing to remember is that there is no quick fix. Many options come with significant costs but there are certain values and tactics that may help boost employee engagement. Firstly, employers need to have integrity. A business’ culture is by and large shaped by how leaders conduct themselves and integrity has to come from the top, with senior leadership being the gold standard for what is expected of the rest of the team. Employees are more engaged when working as part of a team when their superiors are also making active contributions. Leaders must be passionate, demonstrate the company values and have a strong work ethic, otherwise employees cannot be expected to know the standard that is required of them. Secondly, flexibility is essential in meeting the needs and requirements of a modern workforce. Working in the recruitment industry, you gain a unique understanding of trends across the board – and this is absolutely one of them. Lots of people are talking about the challenges in attracting millennial talent at the moment, but the real challenge lies in engaging them – as well as the wider multi-generational workforce. There is no one-size-fits-all approach, so flexibility is essential. The companies people want to work for are those who are really thinking outside of the box when it comes to benefits and rewards and if the rest do not follow suit, they will be left behind. Employees need to have a degree of choice in creating a professional environment and reward package that suits their individual needs, from flexible start/finish times right through to the way they prefer to communicate their views. Additionally, it is important that employees are consulted before their rewards package is created, to avoid the issue of them having a choice of unsuitable options. Finally, one of the most effective ways of improving employee engagement – in results and cost – is by giving team members a voice, ensuring they are heard, and responding to them. Every employee wants to feel like they are making a contribution and that their views are heard. A great way to encourage this is through employee-led committees or working groups. We have a number of committees at Sellick Partnership, within which team members have the opportunity and authority to make business improvements in specific areas such as CSR and rewards and recognition. The group consults their colleagues on issues and changes are communicated business-wide, promoting a ‘you said, we did’ culture. We have never had more diverse groups of people in our workforces, and developing the right framework to engage every individual is by no means an easy task – but that makes it no less essential. Employee engagement is key to retaining top talent and is much more cost-effective than replacing or re-training disengaged team members. Given the right level of attention, if done well, it has the potential to significantly boost our bottom lines and in turn, the wider economy, making the UK a better place to live and work. Although more businesses are recognising the true value of the investment, as a whole, we are still a long way from where we need to be if we want to compete with the world’s leading countries.